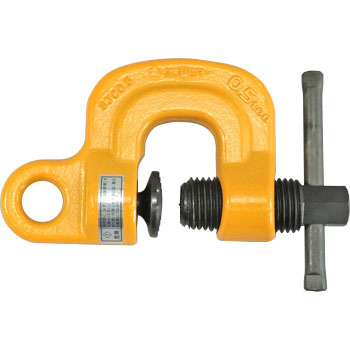 I used this product by hanging 1M square can having ears with a crane, but before hanging it without clamping, and from the circumstances that caused the collapse. It is safe as it will completely clamp. This review is about item#2134587. I also have a one-touch laterally suspended clamp, but I was afraid that I feel like slipping somewhat when shaking, so I introduced it. Overstatement is forbidden, but for now it can be used with confidence. This review is about item#2134596.